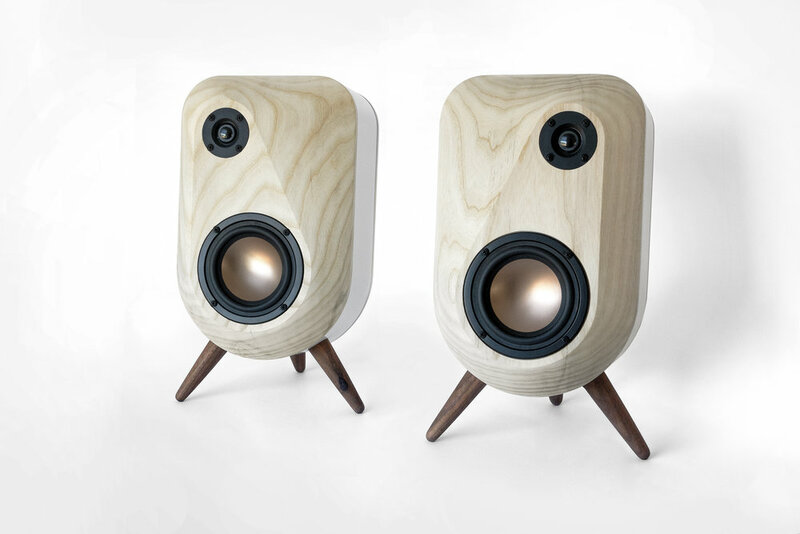 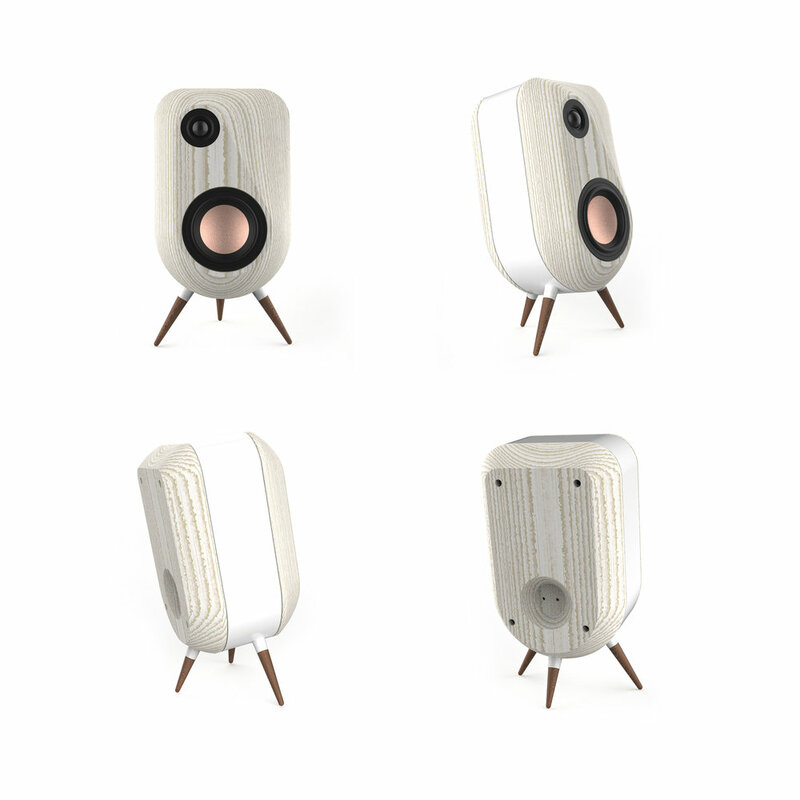 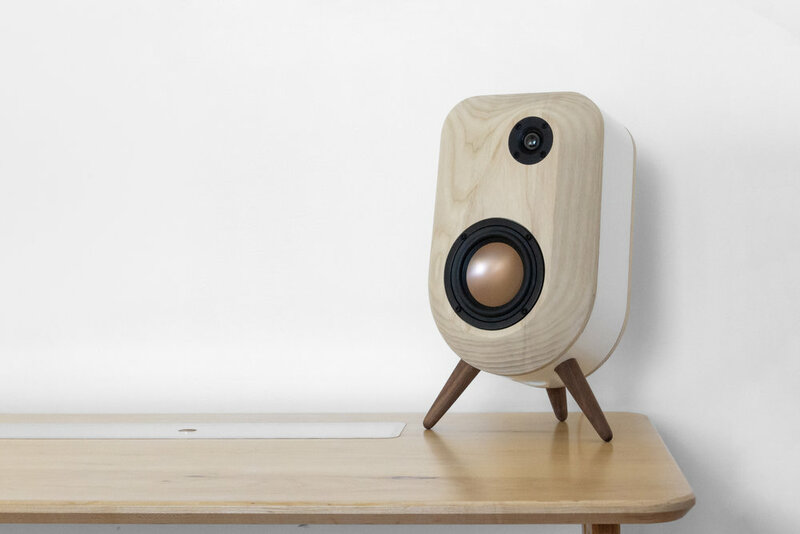 This pair of speakers is designed to be produced mostly with CNC milling, which allows for the creation of complex 3D geometry. 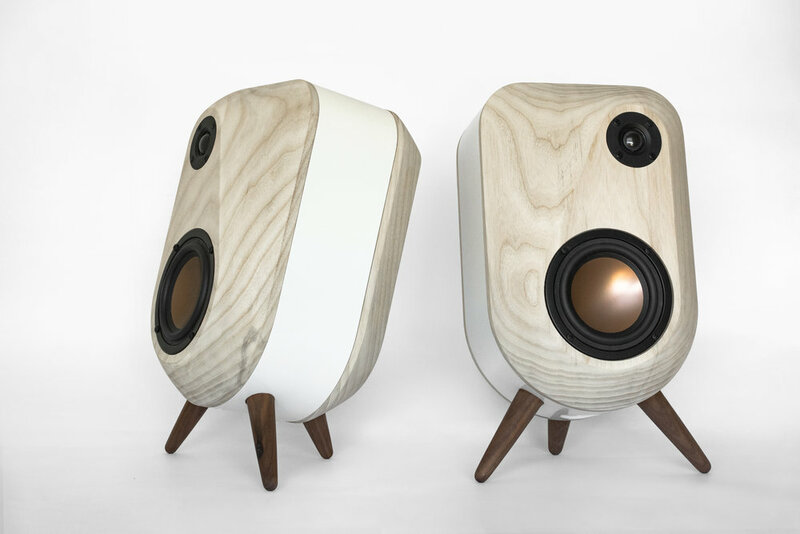 Each speaker's front face features a large, asymmetrical facet, which accents the shape and placement of the drivers and provides acoustic advantages over a traditional box design. 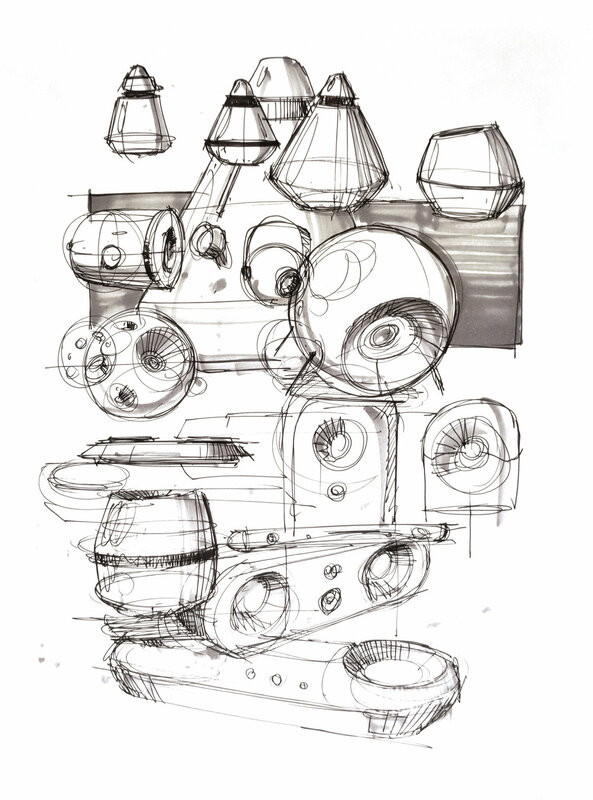 Before modeling these speakers in CAD, I went through several rounds of sketching iteration. 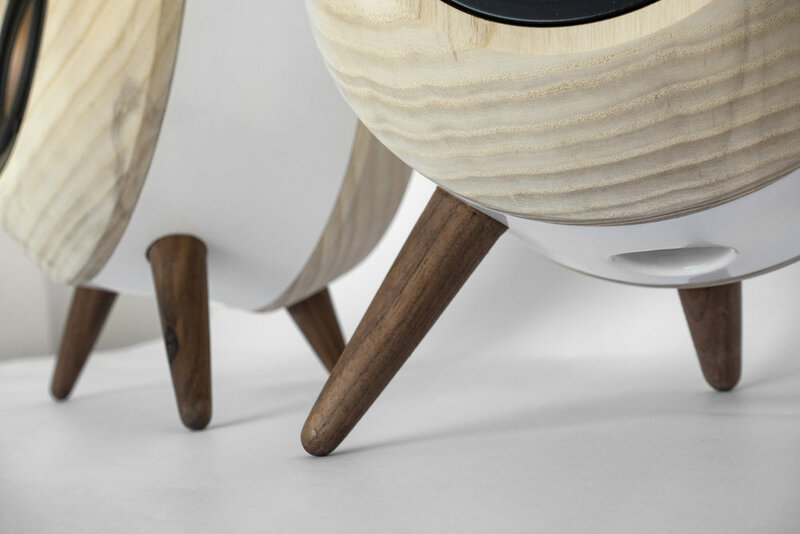 The final design was modeled in Solidworks so that the body could be carved with a CNC router. 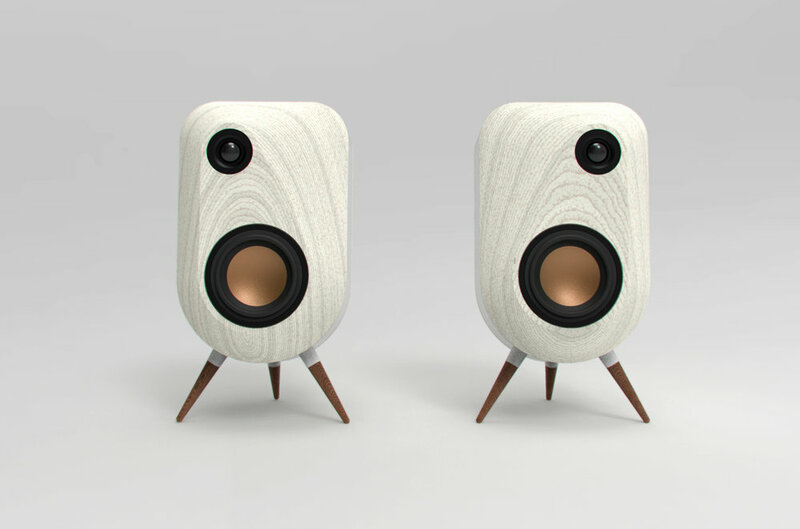 I also produced renderings in Keyshot to verify the design and receive feedback before building it. 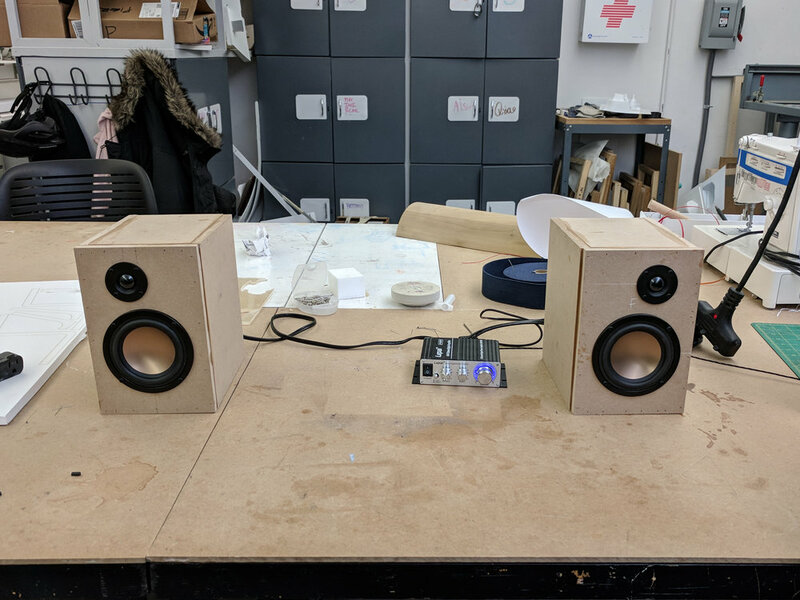 I built simple MDF enclosures with the same internal volume as the final design to test the sound. 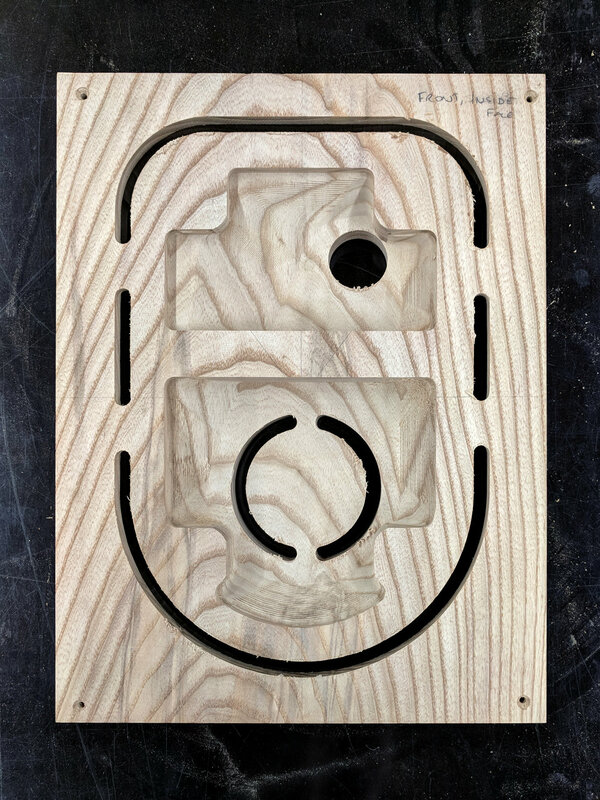 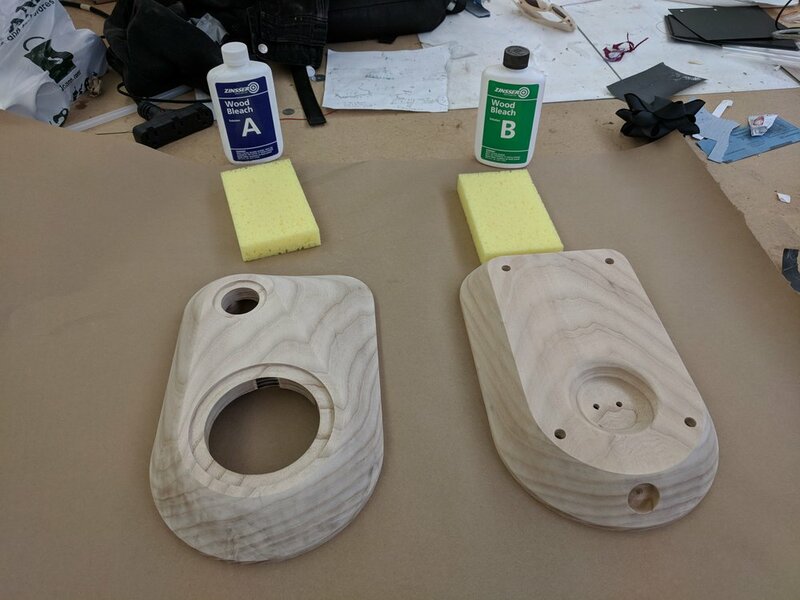 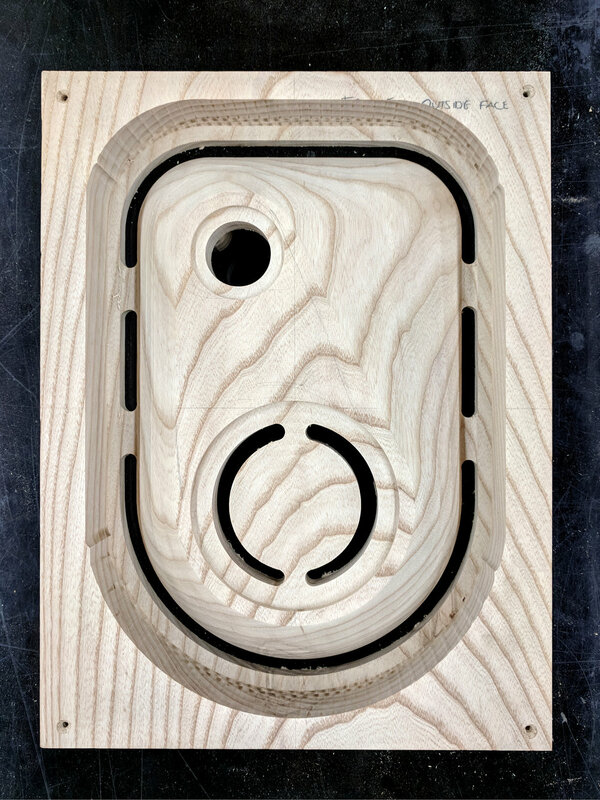 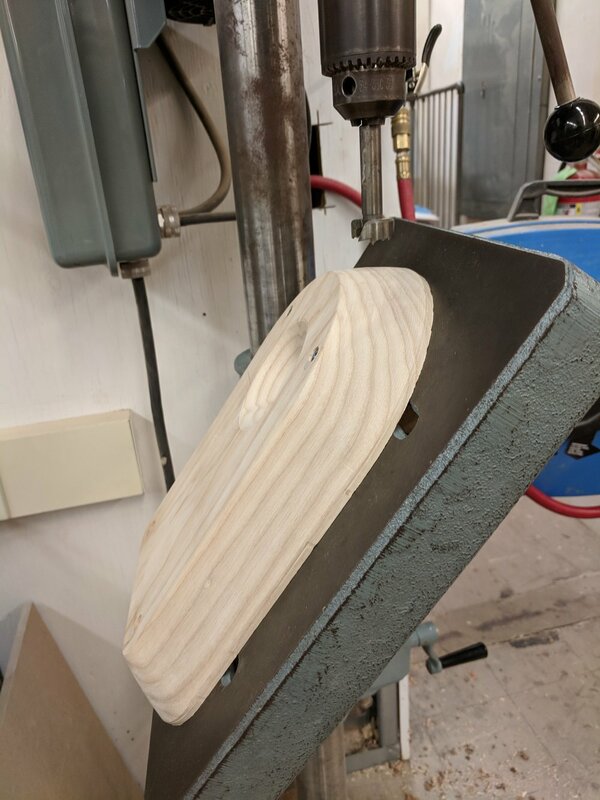 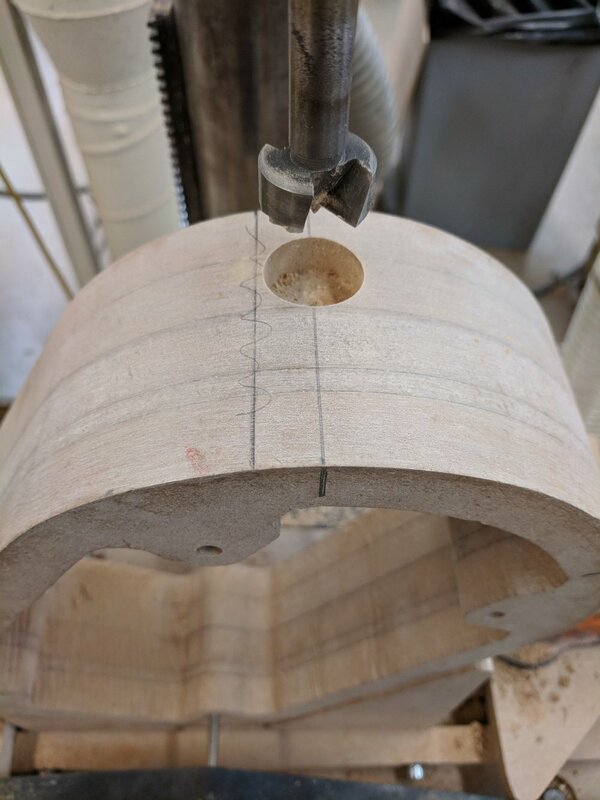 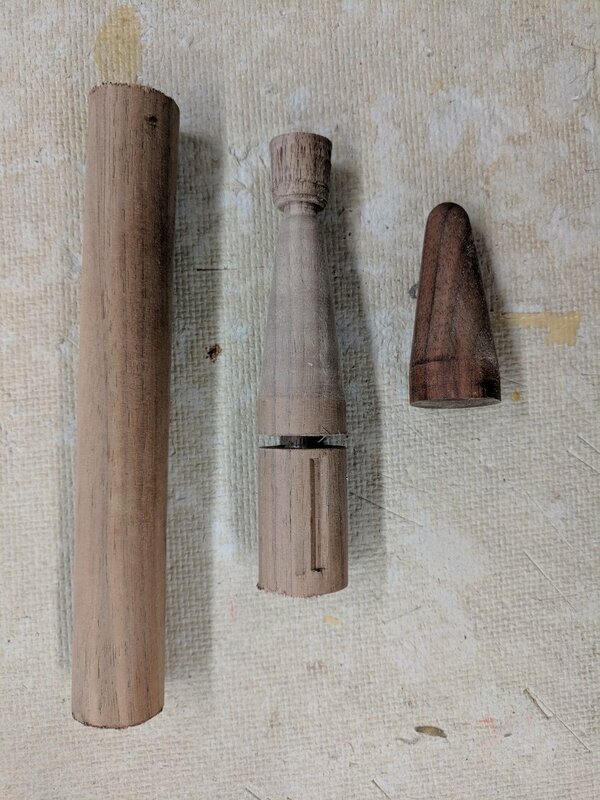 An early CNC test with foam.